The Royal Botanic Gardens, Kew is delighted to announce that the full line up of artists joining the incredible summer series for Kew the Music 2019 will be soul-queen Beverley Knight & pop-superstar Billy Ocean, 9 July, spellbinding Jess Glynne, 10 July, much-loved Jools Holland and his Rhythm & Blues Orchestra, 11 July, R&B legend Craig David, 12 July, punk sensation Garbage, 13 July and 80’s icon Rick Astley on 14 July. Tickets are now on sale and music-lovers can book ahead for the unmissable evenings at the iconic, atmospheric venue which returns from 9-14 July, 2019. Both playing full headline sets, these two iconic artists make their Kew the Music debut. Queen of British soul Beverley Knight has impeccable credentials. With powerhouse vocals tinged with a raw honesty, she has sold over a million albums. She has won three MOBO Awards, nominated multiple times for Best Female at the Brits and also received a prestigious Mercury Music Prize nomination. 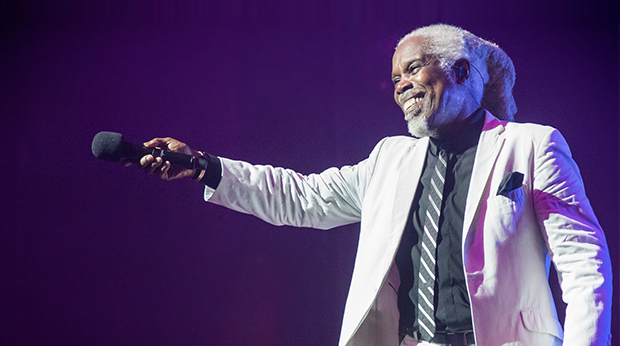 Billy Ocean is the biggest black recording star Britain has ever produced, selling over 30 million records to date. He reached Gold and Platinum status worldwide with hit after hit after hit – from killer ballads like Suddenly to pop classics Love Really Hurts Without You and When The Going gets Tough. His latest album Here You Are featuring handpicked and reworked tracks entered the charts at his highest position since 1988. It’s been a rollercoaster few years for Jess Glynne. I Cry When I Laugh is one of the defining British pop records of its era. It entered at number one, spawning 12million worldwide single sales, 39 weeks in the UK top 10, 2.5billion Spotify streams, a sold out UK arena tour, Brit, MTV, EMA, Ivor Novello, MOBO, Q and Glamour Award nominations. In 2018 Jess scored a second UK number one with her much anticipated second album Always in Between. With monumental style, Jess brokers the hinterland between pop, soul, R&B, funk and house. She has an extraordinary alchemical touch for turning out songs filled with hooks and harmonies that mean something to her and, at the same time, cast a spell over the rest of us. Jools Holland returns this year with yet another crowd-pleasing show. Jools has been touring with his veritable musical army, the Rhythm & Blues Orchestra, for more than 25 years and once again he will be joined by Gilson Lavis and regular guest vocalists, Ruby Turner and Louise Marshall. With 15 Million albums sold worldwide and multi Grammy nominations as well as a top 10 billboard hit 7 Days, plus 4.5 million single sales and 290 million single streams in the last year alone – Craig David is the most talked about return to music in decades! A contemporary R&B singer, songwriter and rapper, Craig David’s debut studio album, Born to Do It, was released in 2000, after which he has released a further five studio albums earning himself 20 UK Top 40 singles, and seven UK Top 40 albums, David’s latest albumThe Time is Now is an exciting stylistic mix of tropical house and R&B. Together for over 25 years Garbage has sold more than 17 million albums worldwide and performed in over 35 countries. The band’s unique sound and provocative visual aesthetic grabbed headlines, attracted attention and Award nominations for seminal album Version 2.0. In the post-millennium years, platinum selling beautifulgarbage was followed by Bleed Like Me. Their most recent studio album Strange Little Birds, reached #1 on Billboard’s Top Rock and Alternative chart. Back on the road, the strident cyberpunks are once again showing how it’s done. If you think you know Rick Astley, think again. The much-loved multi-million selling 80s icon returned to capture the heart of a nation with his #1 platinum selling album “50” in 2016 and this year returned with his stellar album “Beautiful Life” in the top10. Back in 1987 his solo debut Never Gonna Give You Up was a global smash, number 1 in 25 countries. Over the next 5 years Rick had 13 international hit singles. He became a viral sensation in the naughties and most recently he has been back in the studio creating new, touchingly intimate ballads, upbeat dance beats, hook-laden pop songs and soul stormers – packing in the cheeky lyrical references and the signature sing-along style that are instantly recognisable. Proving to be a hit amongst all generations of music lovers, the popular concerts are the perfect evening out for all the family to enjoy. Guests are welcome to bring their own food and drink, or to enjoy the open-air bars and tasty street food stalls. A sensational summer’s evening awaits. Kew the Music has recently won the prestigious “Tony Kane Cultural Experience of the Year” at theTime & Leisure Food & Culture 2018 Awards,cementing the glorious week-long summer picnic concerts as a highlight in the cultural calendar. For exclusive BBQ/ VIP Hospitality dining experiences visit kewthemusic.org. Ready-made Picnic Hampers are available to collect on the night.